Home � AVATAR , Disney World Construction , Disney World Expansion , Disney World News , James Cameron , Joe Rohde , New At Disney World � Disney's Animal Kingdom Undertakes Major Expansion As Construction For AVATAR-inspired Land Begins! Disney's Animal Kingdom Undertakes Major Expansion As Construction For AVATAR-inspired Land Begins! Whether you love the idea or hate it, expansion at Disney's Animal Kingdom is certainly news. Construction has officially gotten underway for the building of the new AVATAR inspired land in the area that once housed Camp Minnie Mickey. This James Cameron joint venture with Disney Imagineers will attempt to add a portion of Disney's Animal Kingdom that had been on the drawing board since the park's inception. The "Beastly Kingdom" section that was envisioned to contain mythical creatures in some form or fashion is finally being built. 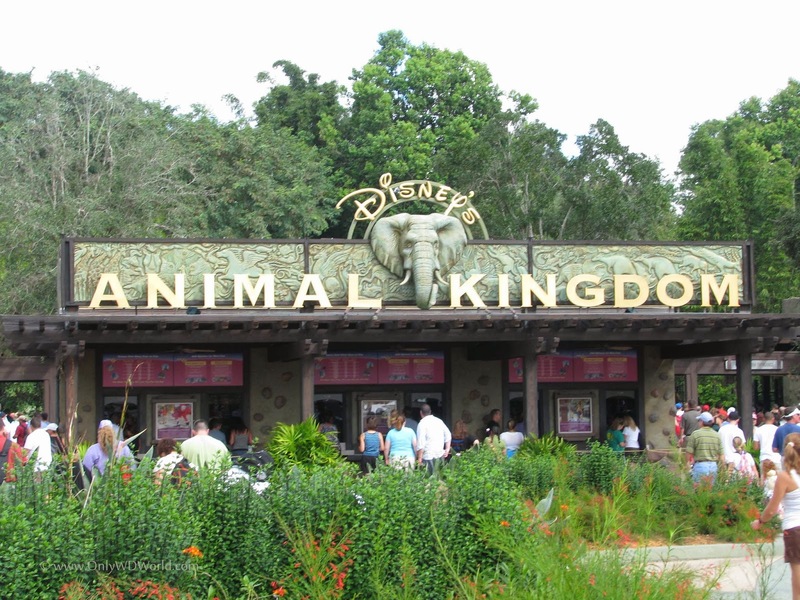 You can still to this day see evidence of that in the Disney's Animal Kingdom sign that greets you upon entrance to the park. Look at the creatures that are part of the sign (click on picture to enlarge if needed) and you will notice some mythical creatures. It is doubtful that anyone would have expected that when it was finally built it would be transporting Disney Guests to another planet. Here is the video from the Disney Parks Blog that shows some of what is planned. Tell us what you think of the AVATAR inspired land coming to be part of the Walt Disney World Resort! 1 comments to "Disney's Animal Kingdom Undertakes Major Expansion As Construction For AVATAR-inspired Land Begins!"